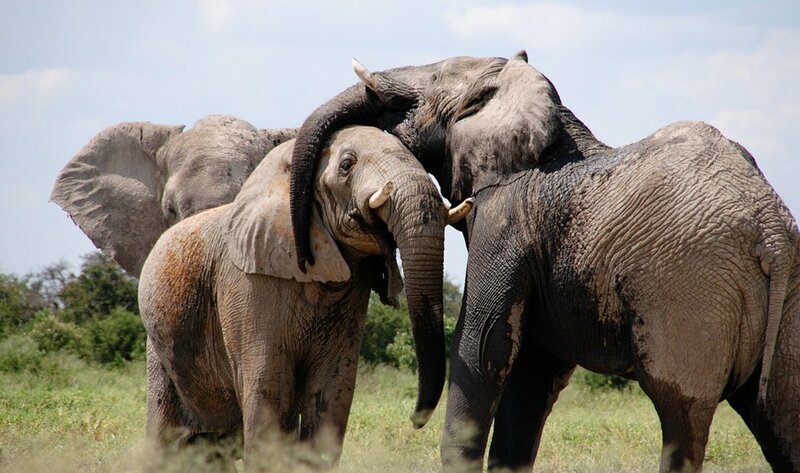 The population of African elephants has dwindled to a few hundred thousand. What a great way to start 2017. The biggest threat against one of the world’s most stunning — and endangered — animals has just been eliminated. China announced on Friday that it would ban all ivory trade and processing activities by the end of 2017, a decision that could help save the African elephant, a major target of poachers for its valuable ivory tusks. China has the largest ivory market in the world, according to the BBC. Some 70% of all ivory taken from elephants ends up in the country, where it can be sold for up to $550 per pound. The British royal had said last year that he was afraid elephants would be extinct by the time his infant daughter Princess Charlotte turned 25. “We need all countries to step up to the plate and do their part to end the illegal wildlife trade and save our iconic species before it is too late,” he said. Populations of elephants across Africa have decreased by a third over the past seven years amid a surge in poaching, the BBC reported. Around 20,000 elephants are killed on the continent every year for their tusks, according to the Washington Post. The population of elephants now stands at about 400,000 to 500,000 today, down from about 1.2 million 25 years ago. In 2014, Chinese President Xi Jinping and United States President Barack Obama jointly pledged to end the ivory trade in their countries.